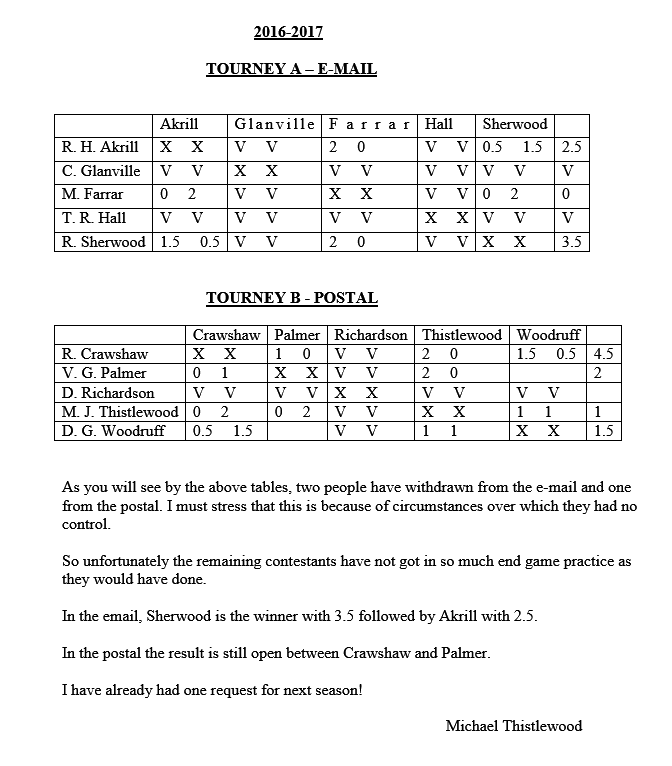 The Email Tournament has been won by Frank McMahon with Greg Hughes in 2nd place, Frank has been awarded 5 BCCA Candidate Master Points and Greg awarded 2 BCM points. The Postal Tournament has been won by D.H.A Witt who has been awarded 5 BCM Points. R. Crawshaw and D.G. 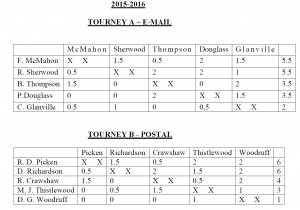 Woodruff tied for 2nd place and have therefore been awarded 1 BCM point each.